Today I took part in the Lego Calculator Challenge, an event that was run as part of Edinburgh University’s Innovative Learning Week. The day included revising the finer points of adding in base 6 and learning about how people managed to do complicated calculations on mechanical computers before Alan Turing invented the Casio fx-83. 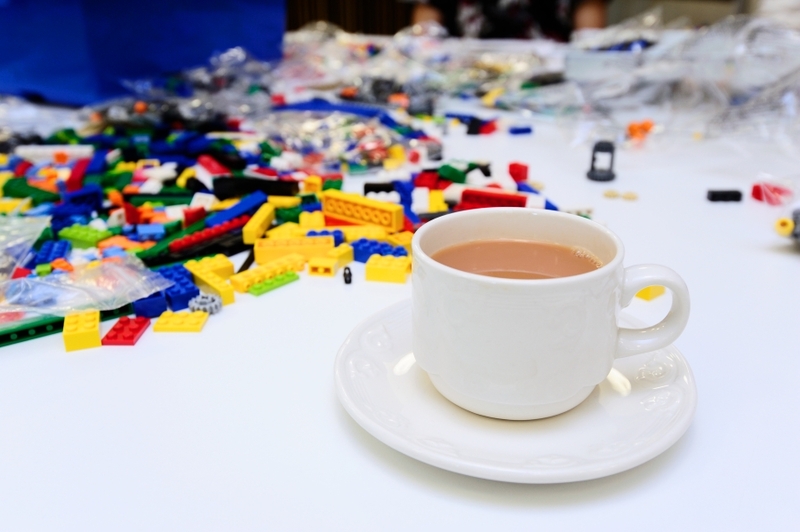 With the aid of this therapeutic video, Lego expert Alex Allmont showed us some of the clever things that are possible using gears and ratchets. I also learnt the existence of and the inner workings of a car’s differential gear in a ten-minute time span, thanks to an excellent film by Chevrolet from the 1930s. 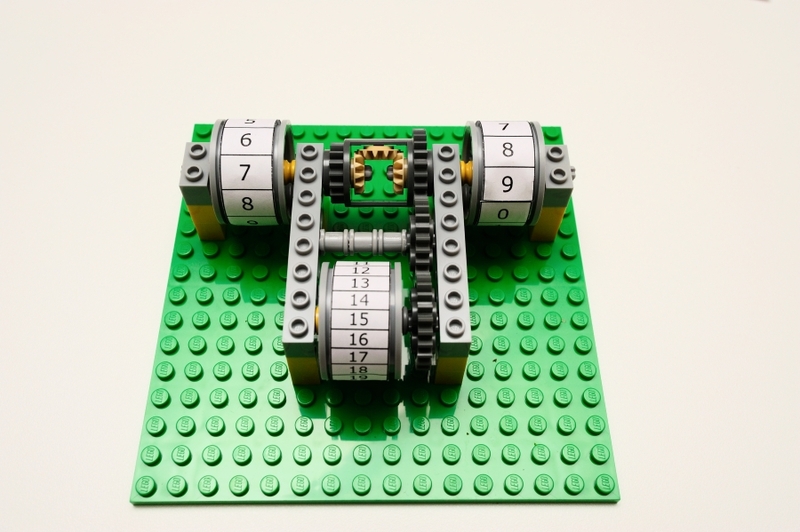 Using exactly the same kind of differential gear, but in reverse, we built our own “differential adders”, capable of adding or subtracting numbers up to 20. Selecting two numbers from the top wheels will automatically compute and output their sum on the lower wheel. Conversely, fixing a number on the lower wheel first will let you perform subtraction. Awesome.